Nowadays, many well-known manufacturers in the firearm industry offer ported barrels and slides as optional features on their products. You could also find a lot of places that provide you with porting service which clearly show the rising popularity of ported weapons. So what is porting anyway and why people seem to get absorbed into it? Is it possible for an amateur to learn how to port a barrel? The answers to these questions could be found right in this article. Take a look at the information below and you should be able to have a clear understanding of porting technique along with its associated effects. In order to decrease the gun recoil and muzzle rise while firing, one of the most common methods is to port its barrel. To do that, you have to drill a series of holes across the barrel body which would be referred to as ports. The next time you squeeze the trigger, a portion of the gas generated from burning gunpowder would be redirected through the barrel ports. As a result, the direction of the recoil force is offset somewhat due to the downward force caused by the redirecting gas. In conclusion, the barrel ports reduce the felt recoil and the muzzle rise. Due to the reduced recoil and decreased muzzle rise, ported barrels let you re-engage your target in a shorter period time compare to unported ones. Therefore, the most obvious benefit of barrel ports is that they let you come up with faster follow up shots. 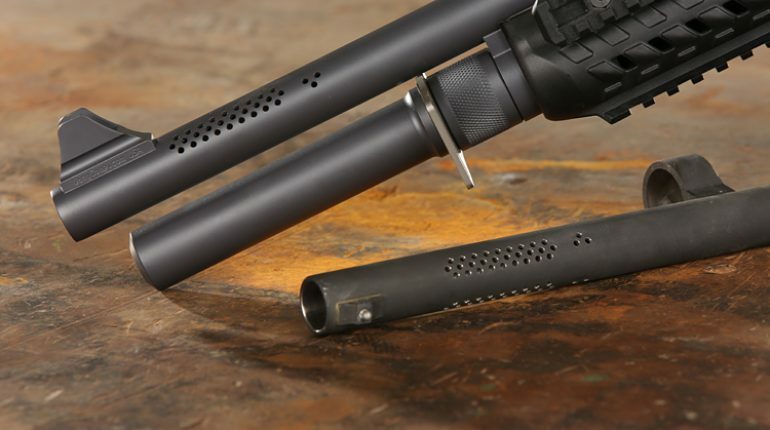 Depend on the round you use, barrel ports are capable of reducing the muzzle rise by 15 – 30%. By using ported barrels, compact firearms could be chambered in powerful calibers without any significant drop in performance. At first, ported barrels are mainly prevalent in revolvers but now you could see them on semi-automatic weapons too. While they are quite useful in certain aspects, barrel ports also have several drawbacks that you should not overlook. 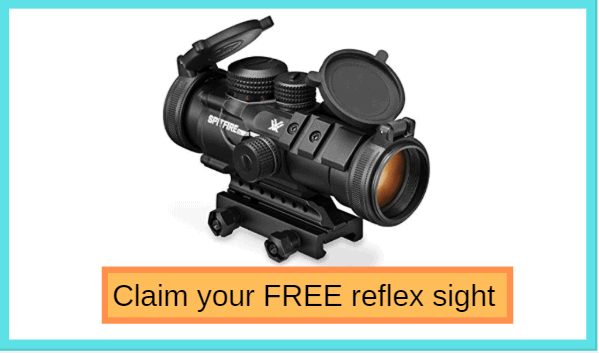 Your vision and the gun sight may be negatively affected because of the gas that escapes from the barrel ports. It’s highly likely that you need to slightly change your shooting position to accommodate the change in the barrel. Since the ports vent out hot expanding gases each time you shoot, you have to pay attention to the orientation of the gun. 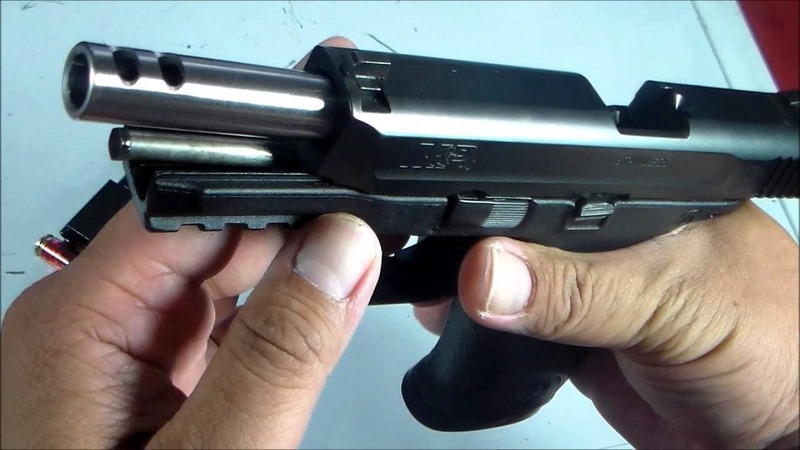 Velocity loss is another effect that you should keep in mind before deciding to port the barrel of your gun. Important note: Poring is a delicate task, do it carelessly and you will destroy the barrel for good. In the case you don’t have a lot of confidence in your skill, it’s wise to let the professionals take over. Send the barrel to a gunsmith or a reputable company like Magnaport and have them do the porting for you. Only perform the porting on your own if you know exactly what you are doing. It’s advised that you purchase a U Port It Barrel Porting Jig from Brownells. There are 2 jigs in total: One with 23 holes and use #31 drill bits, One with 35 holes and use #40 drill bits. Choose the one that suits your situation the most. Beside the jig, you have to grab a stable set of clamps along with lots of cutting lubricant. Remember to stock up on drill bits as well since you may dull or break a good number of bits in the process. To protect the barrel integrity, you could use a dowel and a steel insert to ensure that the drill bit would not damage the bore. And of course, do remember to protect yourself by wearing appropriate accessories for the duration of the project. First, you have to secure the barrel to the drill fixture with the clamps and proceed to mark the length of the ports on them. Next, put the dowel into the barrel and place the steel insert into the desired holes on the porting fixture. After that, dip the drill bit in cutting lubricant then carefully drill the ports using the steel insert and porting fixture as guides. There is no need to rush here, just move at your own pace until you finish drilling all the ports. Finally, use abrasive cloths and flex hones to deal with the burrs until everything seems ideal. Currently, there is no dependable handgun porting fixture available on the market so you have to do things in a slightly different way. You are going to need a drill press vise, a regular drill, an end mill and a prick punch. Once again you need to ensure that you have enough cutting lubricants and drill bits for the projects. This project requires high machining skill so once again, you could always send your barrel to the experts and let them handle the porting. All it takes is one mistake and your handgun barrel would become a nice paperweight so be careful. Secure the barrel with the drill press vise and then use the prick punch to mark the position and dimension of the ports. After that, use the regular drill to drill the ports until you almost breakthrough and then stop. Now you have to use the end mill with the exact drill bit size to finish the ports for good. As usual, do everything slow and steady, you are not in hurry. Apply a suitable amount of lubricant as you go and that should be it. Eliminate the burrs using flex hones and flex hones then your ported barrel is ready. And that is most of what you should know about ports and how to port a barrel, not too hard to take in, right? 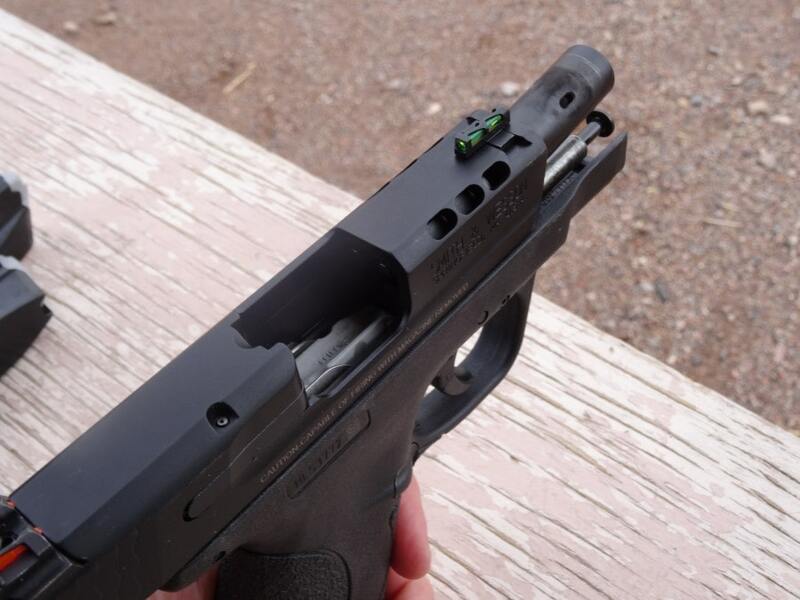 Porting is a wonderful solution for shooters that want to reduce the recoil and muzzle rise of their weapon. 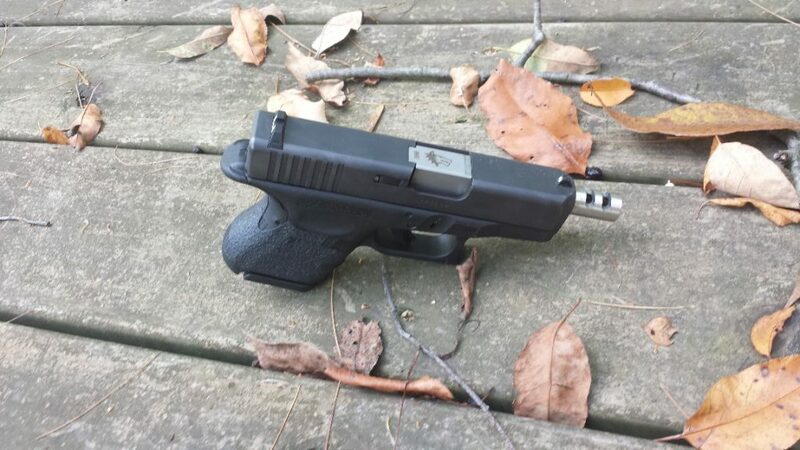 If you are sufficiently skilled, you could port the barrel of your firearm with the help of this article.